UTE, the Uruguayan national electricity company, has awarded Pöyry with an extension assignment for the provision of supervisory services during construction and commissioning of its new 510MW Combined Cycle Power Plant (CCPP) project in Punta del Tigre, Uruguay. This extension follows the first assignment in 2013 for the provision of design review services and the subsequent extension awarded in 2015. 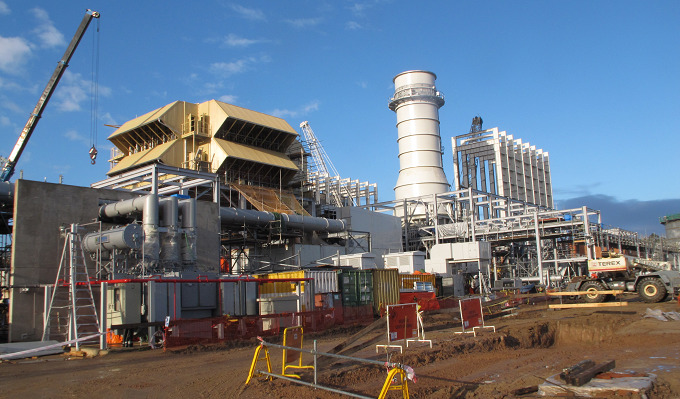 The Punta del Tigre plant, Uruguay's first combined cycle thermal power plant, will help diversify the country's energy mix in an environmentally sustainable manner, reducing the vulnerability of the country's energy system in years when low rainfall affects hydroelectric generation. "The Combined Cycle Power Plant under construction in Uruguay is currently the largest investment made by UTE and it is also important for the electrical system of our country because it will allow a thermal back up that will perfectly complement the recent strong development of renewable energies. The Combined Cycle is a fundamental part of the transformation of the country's energy matrix. In this context the contribution of Pöyry is essential, because although the engineering stage is almost terminated, it is necessary that they continue to provide us with support in relation, among other things, to monitoring of implementation of works, control assembly, verification of the progress of the works according to contract schedules and acceptance tests of the facility" says UTE's Director, Walter Sosa. "The collaboration established between UTE and Pöyry teams working together at the plant building site, supported remotely by the Genoa engineering office in Italy, allowed a strong common trust to be built," says Alessio Giuffra, Country Manager, Thermal & Renewable Power, Pöyry Italy. "This new work extension is the result of the client's confidence in the quality of Pöyry services. We are grateful to UTE and we look forward to helping the client overcome the new challenges that this project will pose." The value of the order is not disclosed. The order has been recognised within the Energy Business Group order stock in Q2/2016.